I&S BBDO has appointed Yoshihiro Nagai as President, following his 9-month stint as Managing Director. 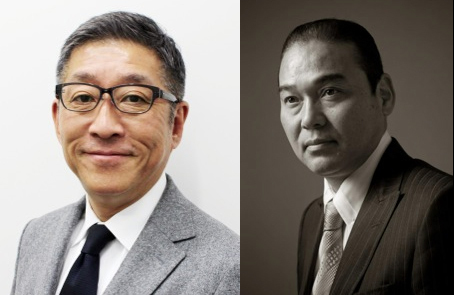 And BBDO J WEST has appointed a new President, Kazuo Hide, formerly Executive Director, to lead the agency business. Nagai (pictured left) has a proven track record of excellence in leadership and strategic communications. In his previous role as CEO, a major Japanese food company suffered sluggish sales in an imported product. Nagai provided excellent leadership and helped the business achieve double-digit growth through an integrated marketing approach and by developing a more defined brand story and identity. Hide’s appointment is in recognition of his accomplishments at BBDO J WEST. Hide (pictured right) has helped to double the agency’s revenue in the Kita-Kyushu office through his new business efforts and by diversifying the office capabilities to include Direct Marketing. “The advertising industry has always played a role in delighting, engaging and educating the communities around us; and is it our duty to continue to make a contribution by developing great creative work. I know that Yoshihiro Nagai, the new president of I&S BBDO, is the best person to lead the agency to great new heights, thanks to his extensive expertise and experience both at home and overseas. Furthermore, BBDO J WEST’s reputation in market is that we are one of the competitive creative agencies in the Kyushu region, and I am pleased that Kazuo Hide, the new president of BBDO J WEST, has been selected to lead BBDO J WEST as they endeavour to create even more powerful and more effective work.” – Kazutoyo Kato, Representative Director, I&S BBDO, BBDO Japan and BBDO J WEST.